The defence lawyer for former Bosnian Serb reservist policeman Mico Jurisic urged the court to acquit him of committing crimes against humanity against non-Serb civilians in the Prijedor area in 1992. In closing statements at the Bosnian state court on Monday, Mico Jurisic’s defence said he should be found not guilty of participating in the persecution of the non-Serb civilian population in the Prijedor area through crimes including murders, torture, the unlawful deprivation of liberty, taking people to detention camps and other inhumane acts. “I propose the court render a decision acquitting him of all the counts contained in the indictment,” said Jurisic’s lawyer, Svetozar Davidovic. Davidovic said that there was not a single piece of evidence that Jurisic, a former member of the Tukovi reserve police forces at the police’s Public Security Station in Prijedor, participated in a widespread and systematic attack by Bosnian Serb Army and police against the non-Serb civilian population in the Prijedor municipality between May and September 1992. “There is no evidence that he knew about the attack and that his actions constituted a part of the attack,” Davidovic said. He added that there was also no evidence that Jurisic had any connection with the Bosnian Serb authorities. “He was a member of the reservist police forces; he was just a driver, his education was low-level,” he said. “There is no evidence that he participated in any illegal action which pertains to religious or ethnic affiliation… The prosecution did not prove that he acted unlawfully,” he added. 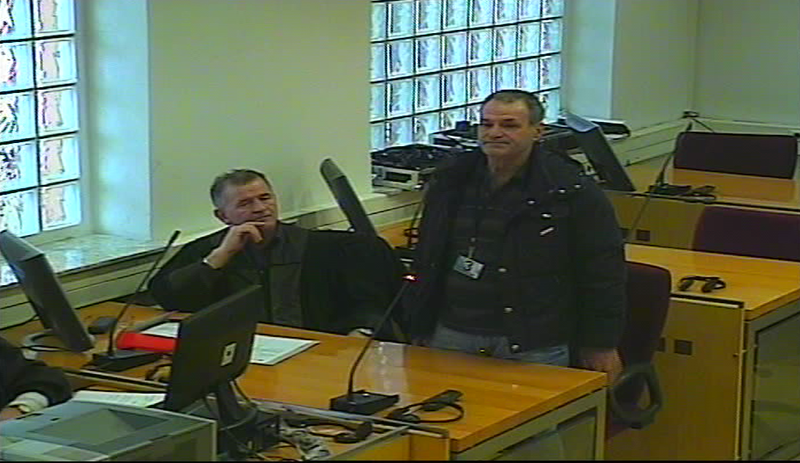 Jurisic also addressed the court, shed tears, and insisted that he was not guilty. The prosecution has called for the defendant to be convicted on all eight counts in the indictment. The verdict will be handed down on April 8.